SafeHouse Center provides support for those impacted by domestic violence and sexual assault in Washtenaw County and the surrounding areas, and serves of 5,500 survivors and their children each year. Translation services for domestic violence and sexual assault survivors who do not speak English. Gifts to SafeHouse Center can be made in any amount, and are completely tax-deductible. 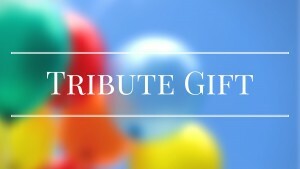 When making your tribute gift to SafeHouse Center, you’ll be asked how you would like your honoree to be notified of your gift. We can email a PDF letter to you or your honoree, or we can mail a hard-copy letter to you or your honoree. Upon making the donation to SafeHouse Center, you will receive an email confirming your donation. In the next business day, we will process your honoree letter. The best part? They get the gift of knowing that your donation helped change someone’s life.